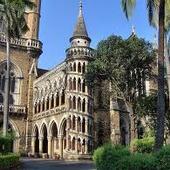 The University of Mumbai (formerly University of Bombay) is a university situated in Maharashtra state of India. It has been given a five-star ranking by NAAC. The name of the University was changed from University of Bombay to University of Mumbai according to a Government Gazette dated 4 September 1996. 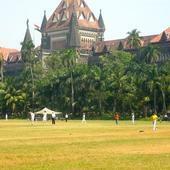 It is abbreviated as either (UoM) for University of Mumbai or as (MU) for Mumbai University. Initially, building of Elphinstone College was used for Mumbai University. Most of the colleges in the city of Mumbai (Bombay) and the districts of Thane, Raigad, Ratnagiri and Sindhudurg are affiliated to the University of Mumbai. The University of Mumbai offers Bachelors, Masters and Doctoral degrees to students. It has several high ranking research institutes in the world, including Institute of Chemical Technology (formerly UDCT), Tata Institute of Fundamental Research (TIFR) a Deemed University of the University of Mumbai and the Tata Memorial Hospital. The UoM is ranked in the top 500 universities in the world by the THES - QS world universities ranking. The University of Bombay is modelled after the universities of Britain and primarilly imparts education through its affiliated colleges. St. Xavier's College, which was affiliated with the University in 1868, is the first and the most prestigious of its colleges. Today, the university campuses serve as administrative centers and centers for some higher education and library facilities. The affiliated colleges are spread throughout the city and the four coastal districts of Thane, Raigad, Ratnagiri and Sindhudurg. 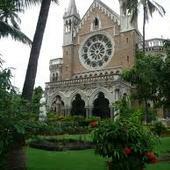 University of Mumbai, Mumbai has 563 affiliated Colleges. Click here to explore them. 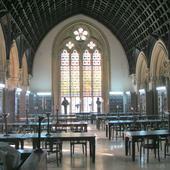 University of Mumbai, Mumbai has 8 Departments listed that offer various academic courses. Are you Interested in studying at University of Mumbai, Mumbai? This page was last modified on 7 January 2016 at 20:01.